After 17 years as a hairdresser, I retired from my career to focus full time on my true passions: my love of rescue pets, and helping my fellow humans. For the past 4 years, I have served as a Director for the Pasadena Humane Society & SPCA, and as an Ambassador for National Women’s Health Week through the U.S. Health Department’s Office On Women’s Health. I also manage a non-profit my husband and I started called The Foundation To Increase Awesome. My first rescue pet was an orange tabby cat who followed me while walking home from a friend’s house when I was 5 years old. (It was the 70s. Apparently it was a safer time?) After two days of searching for his owner, we discovered they had moved away and left this cat behind. The cat had gone out in search of a new family, and we became that for him. I never thought to seek out the family to find out why they left him, I just saw this cat who wanted to be loved and have a home. 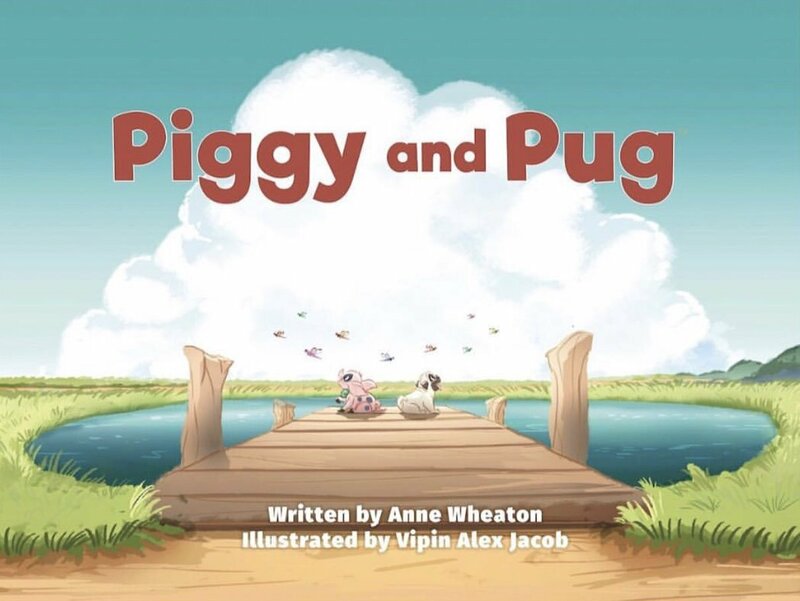 It was hard to understand at such a young age why anyone would do this, which is why I decided to write Piggy and Pug, the book little-kid-me would have loved to read. I currently live in Los Angeles with my husband, Wil, and our three rescue pets.